The Sub Zero, Kaskade, Bihan Er Kamien, SOIL&"PIMP" SESSIONS, The Grooveblaster and more. This show was 10th in the global nu jazz chart. Sure, there&apos;re days when you want to hear a thematic mix, one that hangs together like a bespoke suit and fits your mood to a T ... but then there are the days when you don&apos;t even know what your mood IS, much less how to find music that will charm you down out of your tree. Sounds like a job for freeform radio ... or what used to be called by that name. Despite changes in playlist styles over the years, freeform persists ... because the internet lets radio be free once again. Likewise, since the internet makes radio available to digital devices everywhere, all the time, we can be completely immersed in it if we like. 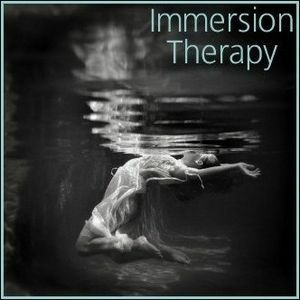 Immersion therapy: Because your moods persist, and music is medicine for your moods. Therapists on duty for this session include Grooveblaster, The Sub Zero, Kaskade, Soil & "Pimp" Sessions, Neneh Cherry, Wax Poetic, Maya Jane Coles and more. Come in and get comfortable, the treatment is about to begin. Do you bill by the hour? I see that your mix is just over that...how much do I owe you for this musical treatment? I had the luxury of hearing this mix before you uploaded it, and I must say that I feel healed! Didn&apos;t think that was possible.